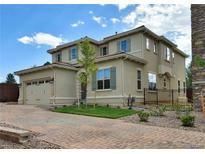 Find Centennial, CO New Homes for sale. View Photos, Maps and MLS Data Now! Open House THURS - MON from 12 Noon - 5 pm. CLOSED TUES/WED MLS#4393220. HANOVER REALTY. Open House every Thursday thru Monday from 12 Noon - 5 pm. Closed Tues and Wed. MLS#8821704. HANOVER REALTY. 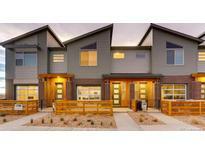 Walk to shopping, restaurants, Centennial Center Park and Cherry Creek State Park. MLS#7238975. Richmond Realty Inc.
Two secondary bedrooms upstairs with shared bath and a loft. MLS#9515133. MB TEAM LASSEN. Known for our energy saving features, our homes help you live a healthier and quieter lifestyle, while saving you thousands on utility bills. MLS#8306142. Kerrie A. Young (Independent). Known for their energy-efficient features, our homes help you live a healthier and quieter lifestyle while saving thousands of dollars on utility bills. MLS#9641456. Kerrie A. Young (Independent). This home offers 4 bedrooms, 3 and a ¼ baths, a study, formal dining room, gourmet kitchen, and finished basement. MLS#2089214. MB TEAM LASSEN. ****This listing, for the CYPRESS plan, INCLUDES many options, lot premium, covered rear patio, 5-pc master bath, plumbing upgrades, electrical upgrades, cabinet upgrades, color sheet upgrades, landscape upgrades, and much more. **** MLS#2627036. Asio LLC. Stop by the sales office today for more information. MLS#6315989. Richmond Realty Inc.
Stop by the sales office today for more information. MLS#9294249. 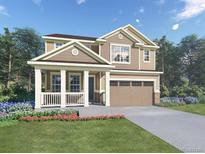 Richmond Realty Inc.
Southcreek - Own a brand new home for less. Built in equity. MLS#6028907. HomeSmart Cherry Creek. Overlook - Winter Open House every Saturday/Sunday from 11 am - 4 pm. MLS#8028197. HANOVER REALTY. Known for their energy-efficient features, our homes help you live a healthier and quieter lifestyle while saving thousands of dollars on utility bills. MLS#1820738. Kerrie A. Young (Independent). Known for their energy-efficient features, our homes help you live a healthier and quieter lifestyle while saving thousands of dollars on utility bills. MLS#3881029. Kerrie A. Young (Independent). Known for our energy saving features, our homes help you live a healthier and quieter lifestyle, while saving you thousands on utility bills. MLS#9709021. Kerrie A. Young (Independent). Open House hours THURS thru MON, 12 Noon - 5 pm. CLOSED TUESDAY AND WEDNESDAY MLS#1998834. HANOVER REALTY. Open House hours THURS thru MON, 12 Noon - 5 pm. CLOSED TUESDAY AND WEDNESDAY. MLS#6512453. HANOVER REALTY. Standard upgraded designer lighting package with LED bulbs, Standard exposed beam, Standard 2 car garage and Community Garden.Open House hours THURS thru MON, 12 Noon - 5 pm. CLOSED on TUES and WED. MLS#1621272. HANOVER REALTY. Open House hours THURS thru MON, 12 pm - 5 pm. CLOSED TUES and WED. MLS#6129035. HANOVER REALTY.